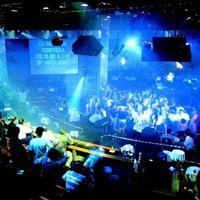 In this ranking you can vote the cities and towns in Balearic Islands that have the best nightlife. Go ahead and vote! Key factors to keep in mind when voting: the number of pubs, the quality of the discotheques, the good ambiance in places where people gather, the absence of street fights... etc. Although in the end, what truly matters is the fun you have had in those towns, meeting new people, and enjoying parties. You know what you gotta do! Help us find the best partying spot by voting on the best cities and towns to party in. And if you are new in town, you can use this ranking to help you decide the places you should visit. It will surely be worthwhile!